Meghan Markle on her wedding day, wearing the tiara she chose with help from Queen Elizabeth II. Meghan Markle's wedding outfit has gone on display at Windsor Castle. 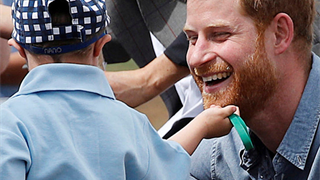 Prince Harry went along even though, in his words, "I shouldn't have really even been there." 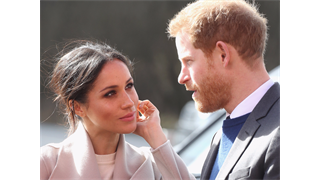 Meghan Markle has talked about the "surreal" experience of choosing a diamond tiara to wear at her wedding with the personal help of Queen Elizabeth II. Prince Harry also commented on the selection day, which he came along to even though, in his words, "I shouldn't have really even been there". "When it came to the tiara on the day, I was very fortunate to be able to choose this gorgeous Art Deco-style bandeau tiara. 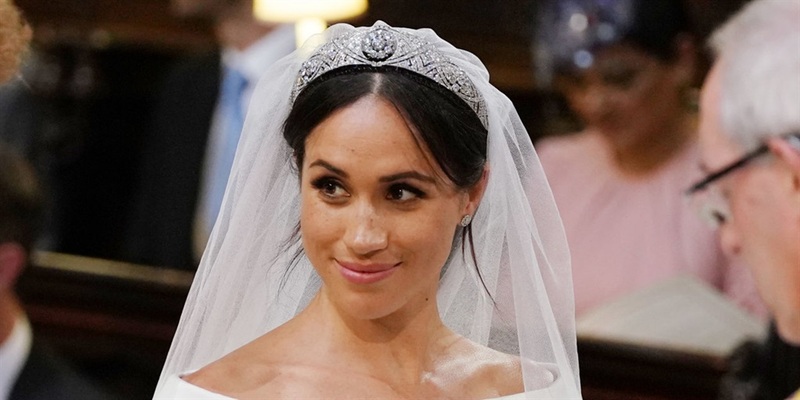 She praised the tiara for being "so clean and simple", which she said was the ideal complement for her Givenchy wedding dress. Harry also spoke on the recording, describing the Queen Mary tiara as "the one that suited the best, the one that looked the best on you without question." He added: "I shouldn't have really even been there, but such an incredible loan by my grandmother, it was very sweet."